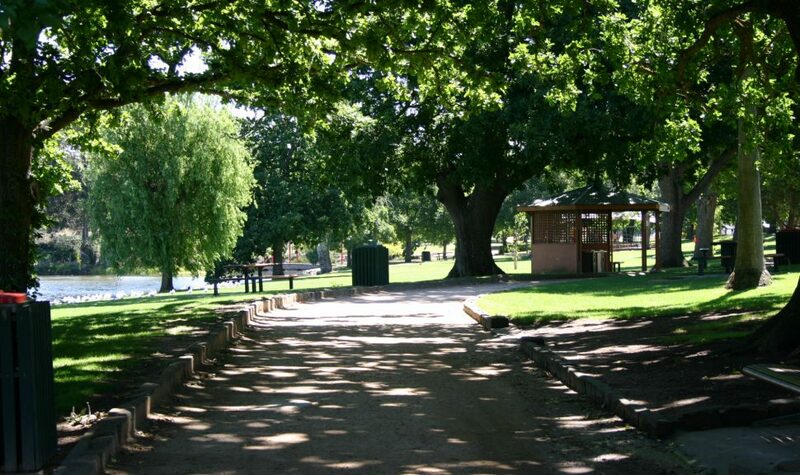 Enjoy the sanctuary of lakeside Alexandra Gardens, the gardens feature newly sealed walking paths, BBQ and picnic areas, colourful flower beds and terraced lawns sloping to an ornamental lake. Be sure to visit the walk-in fernery or take advantage of the new exercise stations. Facilities include: Playground, Picnic Facilities, BBQ Facilities, Toilets, Picnic Shelter, Walking Track, Drinking Fountain, Water Tap.